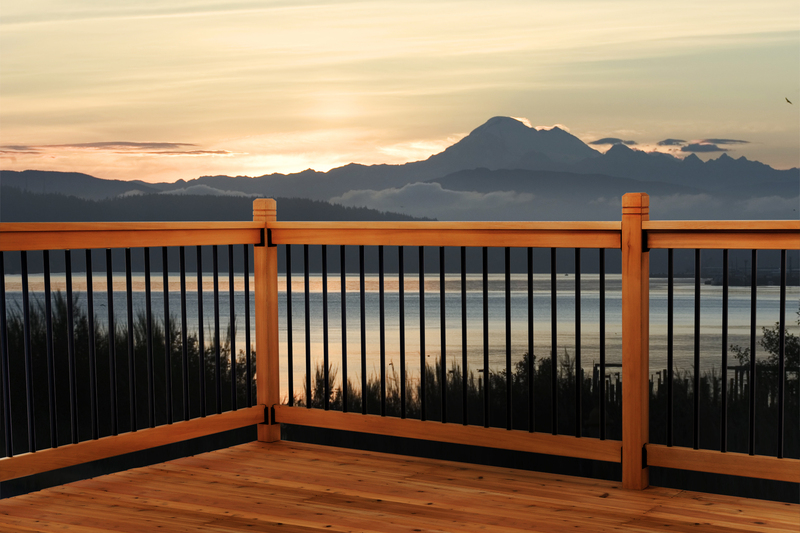 Our Somerset style Deck Railing Kit features contemporary square powder-coated balusters. An all-in-one boxed kit with factory precision pre-drilled rails that speeds up and simplifies the assembly process. 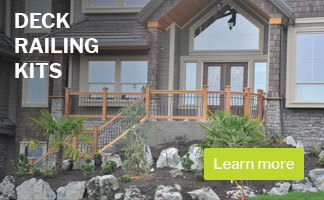 Railing system engineered to National Building Code. 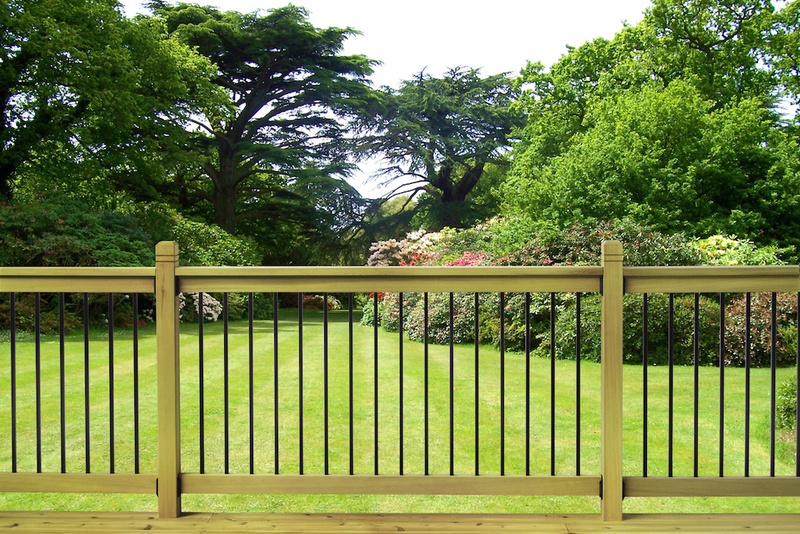 Balusters: Contemporary Style with square balusters and squared rail profile. 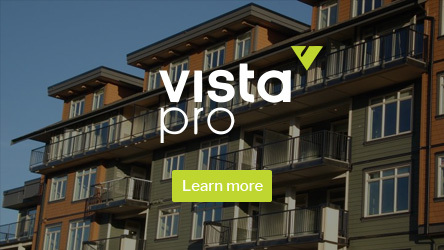 Rails: Contemporary, squared profile and precision drilled to ensure perfect alignment and to meet National Building Code spacing. 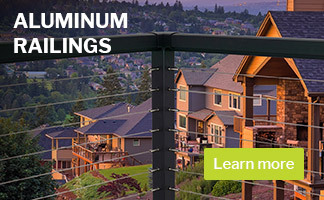 Rail Hangers: Engineered for simple assembly and to meet National Building Codes for guardrails. Our saddle design fits perfectly over the ends of our profiled rails. 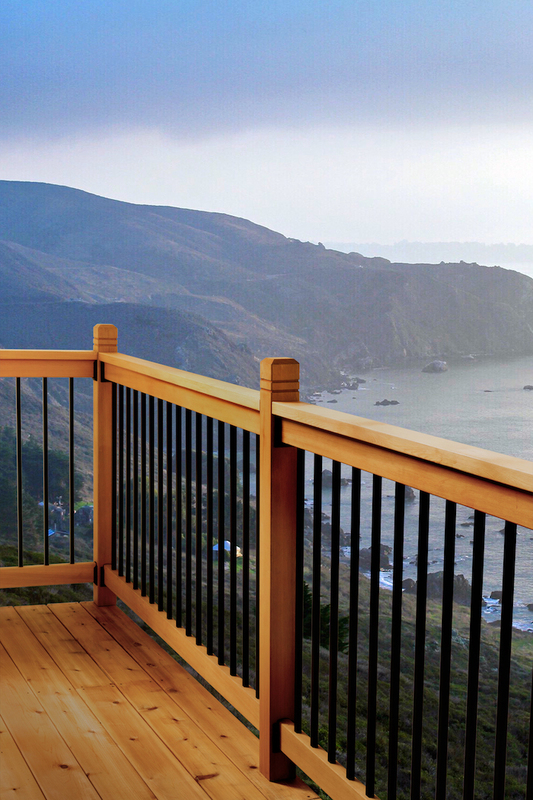 NOTE: Optional stair connectors change the baluster to rail connection to a 35-degree exterior stair angle. Simple! Slow and complexMeasuring, drilling or fastening then trying to align balusters is slow and complex. Cost-effective!Assembles in half the time of alterative component systems which saves you time, money and frustration. Has a professional engineer stamp to show it meets or exceeds National Building Code for guardrails. CostlyTypically requires twice the amount of time to assemble which increases costs, time, and frustrations. High MaintenanceRequires regular painting or staining to prevent rot, twist or split. Endless time spent bending down trying to paint all sides of the wood balusters.